Orlando Summer Guide – 101 Things to Do – Are you looking for things to do in Orlando this summer? Perhaps you want to take a stay-cation. Maybe you just want things to do over the weekend. Or, do you want to give your kids some summer fun right in their backyard? 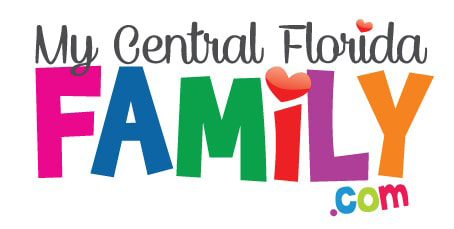 No matter the reason, we’ve come up with 101 Things for Your Central Florida Family to Do This Summer! 1. Attend the Florida Kids and Family Expo August 18-19, 2018 at the Orange County Convention Center. I would be remiss if this didn’t top the list! 3. Enjoy the splash pads throughout Central Florida. 4. Visit one of Florida’s Crystal Clear Springs. 6. Attend a summer camp. 7. Visit a Farmer’s Market in your area. We love the Lake Eola Farmer’s Market. Click here to check out our Family Video Review. 9. Go kayaking (consider a guided tour). My Central Florida Family loves kayaking at Mosquito Lagoon or the Econlocklatchee River. 10. Take a painting class together. 12. Head to Michael’s for some Arts and Crafts sessions. 13. Visit a theme park (Magic Kingdom, Epcot, Animal Kingdom, Hollywood Studios, SeaWorld, Universal Orlando, Islands of Adventure, Legoland, Busch Gardens). Check out our Disney After Dark event at Magic Kingdom, Animal Kingdom or Hollywood Studios. 14. Find your way to a water park (Volcano Bay (photo review), Typhoon Lagoon (video review), Aquatica (video review), or Blizzard Beach). 15. Swim with dolphins at Discovery Cove. 16. 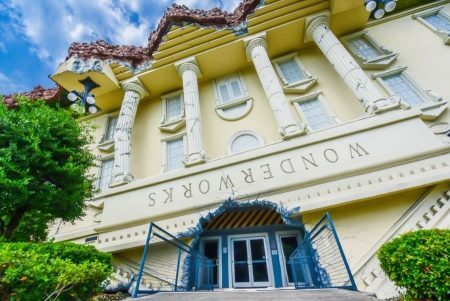 Head to WonderWorks. Click here for our Family Video Review. 17. Revisit the Orlando Science Center (video review). 18. Head to Silver Springs. Ride a glass bottom boat. 20. Check out Kennedy Space Center’s Visitor Center. 21. Enjoy some time with the gators at Gatorland. Or, drive through them at GatorWorld. 23. Feel young at Old Town. 24. Get active and swing away at Drive Shack or Top Golf. 25. Drive a car at K1 Speed, I-Drive Nascar, orAndretti Indoor Karting off International Drive.